10 Bloodworms are giant spined invertebrates that prey on creatures travelling across sandy landscapes. 15 Bloodworms hunt via sensitivity to vibrations through the earth. As rapidly-burrowing creatures, they can strike from below with barely any warning. On the surface, their thrashing movement throws up dust clouds that provides them cover. 20 Some varieties of bloodworm are venomous. 25 Bloodworm queens lay their cocooned larvae in the corpses of fresh kills to incubate and provide a food source while they grow. 25 Modern bloodworms are likely descended from the bristle worms Glycera. The worms were more commonly known as bloodworms, just as their descendants are. Pre-War, bloodworms would most commonly be found in the silt at the bottom of shallow marine waters, but it seems that the mutated bloodworm has been able to adapt to new habitats and spread (likely via waterways) to sandy and silty areas across America. Ambush Predator. 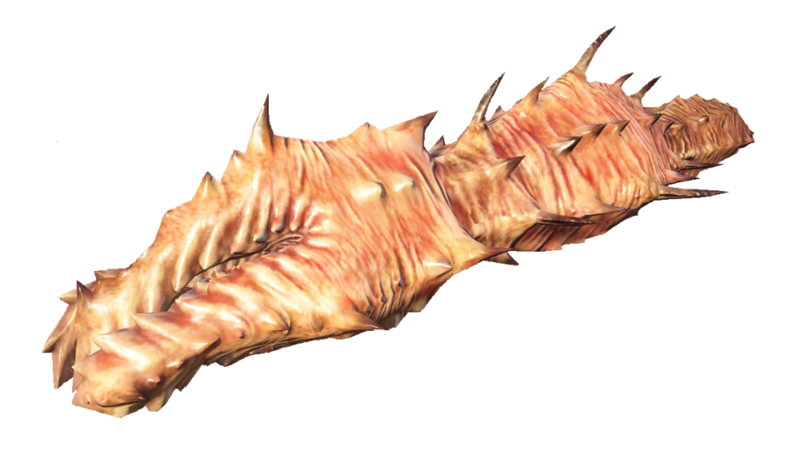 If the bloodworm larva hits with an attack after moving using its burrow speed, it can disengage as a bonus action. Dust Cloud. When a bloodworm moves on the surface it throws up a dust cloud that makes it harder to target, increasing its AC by 2 against ranged attacks. Corpse Cocoon. The bloodworm larva can hide in the corpse of a living creature at least one size larger than itself. Up to four larvae can occupy a large creature, eight a huge creature, or sixteen a gargantuan creature. Wisdom (Perception) checks to notice the presence of the larvae in their hiding place are made with disadvantage. Bite. Melee weapon attack: +3 to hit, reach 5 ft., one target. Hit: 4 (1d8) piercing damage. Bite. Melee weapon attack: +4 to hit, reach 5 ft., one target. Hit: 5 (1d8 + 1) piercing damage and 5 (2d4) poison damage. Bite. Melee weapon attack: +4 to hit, reach 5 ft., one target. Hit: 5 (1d8 + 1) piercing damage and 8 (2d8) radiation damage. Bite. Melee weapon attack: +5 to hit, reach 5 ft., one target. Hit: 11 (2d8 + 2) piercing damage. Bite. Melee weapon attack: +6 to hit, reach 5 ft., one target. Hit: 12 (2d8 + 3) piercing damage and 9 (2d8) poison damage. Bite. Melee weapon attack: +6 to hit, reach 5 ft., one target. Hit: 12 (2d8 + 3) piercing damage and 13 (3d8) radiation damage. Speed 50 ft., burrow 50 ft. Bite. Melee weapon attack: +10 to hit, reach 5 ft., one target. Hit: 30 (4d12 + 4) piercing damage.